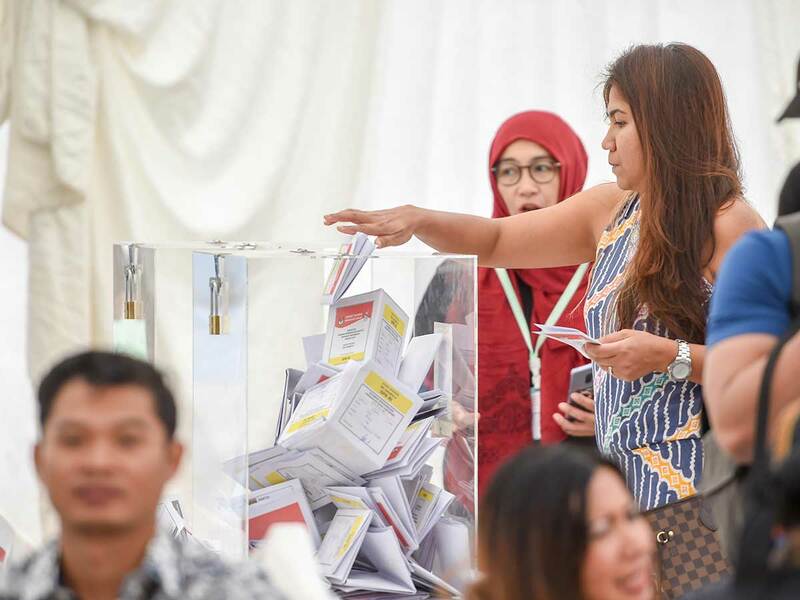 Dubai/Abu Dhabi: Thousands of Indonesians in the UAE cast their votes on Friday ahead of their country’s presidential elections on April 17. The voters had to decide between incumbent president Joko Widodo and former military general Prabowo Subianto, as well as picking legislative members from 16 national parties in the running for 20,000 seats in national board and local councils. Indonesia’s ambassador to the UAE Husin Bagis told Gulf News in Abu Dhabi: “This election is the first time in our history where both the president and parliament will be elected on the same day, so you can just imagine the amount of work and preparations that we have put in at our embassy and consulate. “Along with the two main candidates for president, we have at least 500 candidates for legislative positions,” he added. “As the official embassy in the UAE we are giving our full support to the election process, we established an election commission that is both neutral and transparent. Our main goal is to help all registered Indonesian voters in the UAE to be able to cast their votes. Consul General Hassan added that on April 17, coinciding with the counting time in Indonesia, these ballots would be counted under the watchful eyes of specially appointed volunteers on board several committees that have been formed to conduct a stress-free polling process. Indonesian expatriates queued up at the voting tent with great enthusiasm and energy from 8am on Friday. Those who were registered produced their identification document and once tallied on the list were handed over the ballot form. They cast their secret ballot behind secure partitions, folded the paper and placed it into the sealed glass boxes. That done, their little finger was painted with indelible ink to mark their successful polling. According to Indonesian election rules, any Indonesian 17 years old or above is eligible to vote. Additionally, anyone who is below 17 but is already married can vote. Around 75 per cent of Indonesians registered to vote in Dubai are women. The day was more of a meet-and-greet occasion for all expatriates who had arrived in large numbers with families. Once the voting was over, people congregated on the consul laws to share delightful traditional foods such as rice cakes with sweet and sour fish, fermented cassava, meatballs, satay and the like, being sold at stalls set within the consul courtyard. Lita Hassan wife of the consul general, manned some of the foodstalls with help of volunteers and interacted with all voters.